Is Your Morning Glass of OJ as Unhealthy as a Soda? 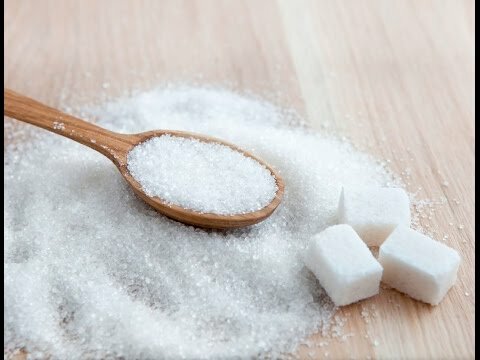 People are talking a lot about sugar these days, especially one kind called high fructose corn syrup (HFCS) – a sugar that seems to be added to just about all sweets in a box or package. HFCS usually contains more of one type of sugar – fructose – than table sugar or corn syrup. We know that too many sugary drinks – regardless of the type of sugar – can lead to obesity, which is a cause of eight different cancers. But some researchers believe that fructose is more harmful than other sugars, leading to a higher risk for type 2 diabetes and heart disease. Others disagree, leaving the research to be inconclusive. As the research continues on fructose, a new study published in the journal Nutrition, says that many sugary beverages Americans are drinking — whether it’s HFCS soda or apple juice — actually contain similar amounts of fructose. Fructose is one of the two sugars that make up sucrose or table sugar; it is also a natural sugar found in fruit and fruit juice. For their study, the researchers analyzed the sugar concentrations of the most popular sodas, 100% fruit juices, and juice drinks, including sports drinks. The researchers found that fructose levels among some HFCS drinks are often higher than a commonly used database researchers use. This could be important to scientists studying whether different types of sugars like fructose contribute to weight gain and health risks. But what does this mean for your morning glass of juice? One of AICR’s Recommendations for Cancer Prevention is to avoid sugary drinks because they link to weight gain and obesity. Sip for sip, regular sodas and natural fruit juice contain about the same calories and both are high in sugar. But juices provide nutritional value and sodas have none. For example, orange juice contains vitamin C, potassium, the B vitamin folate and magnesium along with some cancer-fighting phytochemicals. And because we don’t get enough fruits and vegetables, drinking a small glass of juice per day may be one way to up your servings. According to the Centers for Disease Control and Prevention (CDC), Americans consume fruits and vegetables less than 3 times per day. Getting plenty of fruits and vegetables is part of an overall healthy plant-based diet for reducing cancer risk and other chronic diseases. Focus on whole fruits and veggies, but if you enjoy a morning cup of orange juice, that can be a nutritional boost. Read our Summer Drinks: Slimmed Down for Cancer Prevention for ideas on satisfying and healthy summer drinks. Chelsea Schulman, intern, contributed to the writing and production of this blog.Thanks!